Are you ready to stop defeating your healthy eating goals by skipping breakfast? I am. The biggest reason we fail to eat healthy is because we fail to set a realistic process to follow through on. We can make our meal plans and even do our grocery shopping with big intentions of eating healthy and then completely fail to cook and end up throwing food away. At least that’s what I find myself doing, so I set out for this month to create a process I could realistically follow to get back into the habit of eating breakfast again. Or at least think ahead. Sometimes just having the idea of what you’re going to do for breakfast is enough to get you through, but I usually forget by the time I have to cook so it helps me to write it down. As you begin to make your plan, think about what your upcoming week looks like. Do you have a few early morning meetings? Are you going to have leave early for carpool on Wednesday morning? Don’t plan for any breakfasts that involve cooking AT ALL on those days. You want to make it as easy on yourself as possible to achieve your goal, which is eating breakfast. Your goal is not a gourmet meal so don’t feel guilty about grabbing a protein bar or a string cheese and an apple for breakfast on those days as you run out the door. Just remember your water! Create a repeatable process that you can stick to. You know yourself best. If you know you’re not a morning person, maybe you hard boil 5 eggs on Sunday night or Monday morning to set yourself up for a grab and go solution for the week. For me, it’s easier to remember what to eat based on day of week so my repeatable process is having the same category of breakfasts recurring on the same day of the week. The simpler the meals are Monday-Friday (5 minutes or less to prepare) the better chance I have of actually making them so that is also a factor in my process. I made up a calendar of some of my staple breakfast ideas and categorized them by day of week and corresponding main breakfast type. 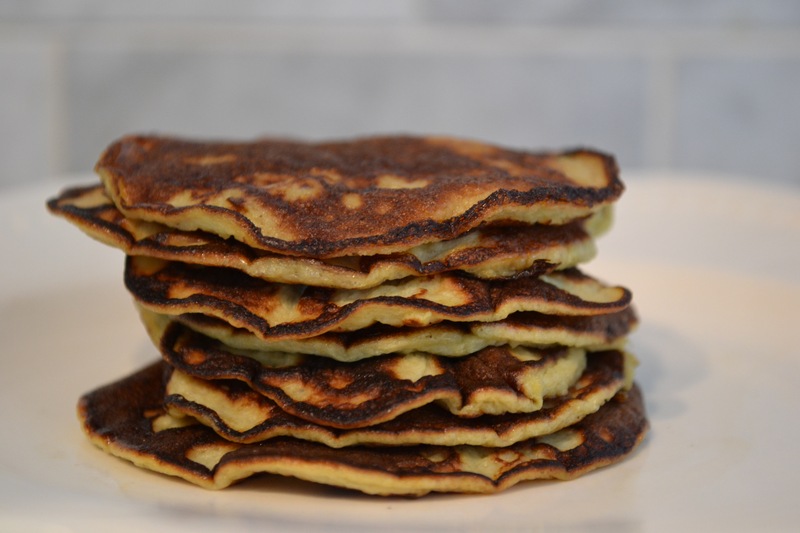 This way I know on Wednesdays we will have hard boiled eggs as the main item, Tuesdays it’s Fruit, Fridays it’s cheese, Mondays it’s protein bars or shakes, and Sundays it’s sweets like pancakes or french toast. I try to pair most breakfasts with a protein and a carbohydrate for both brain and muscle fuel. 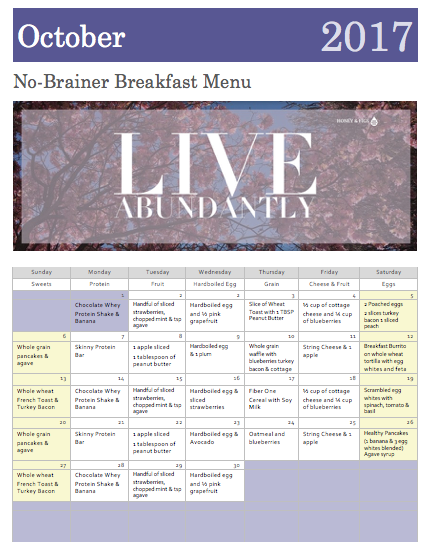 For October, I’ve taken the headache out of the planning process for you and put together a month’s schedule of breakfast no-brainers based on my process above. You don’t have to sabotage your healthy eating habits by skipping breakfast anymore. You can plan your week and choose meal ideas you like and take the path of least resistance for following through. 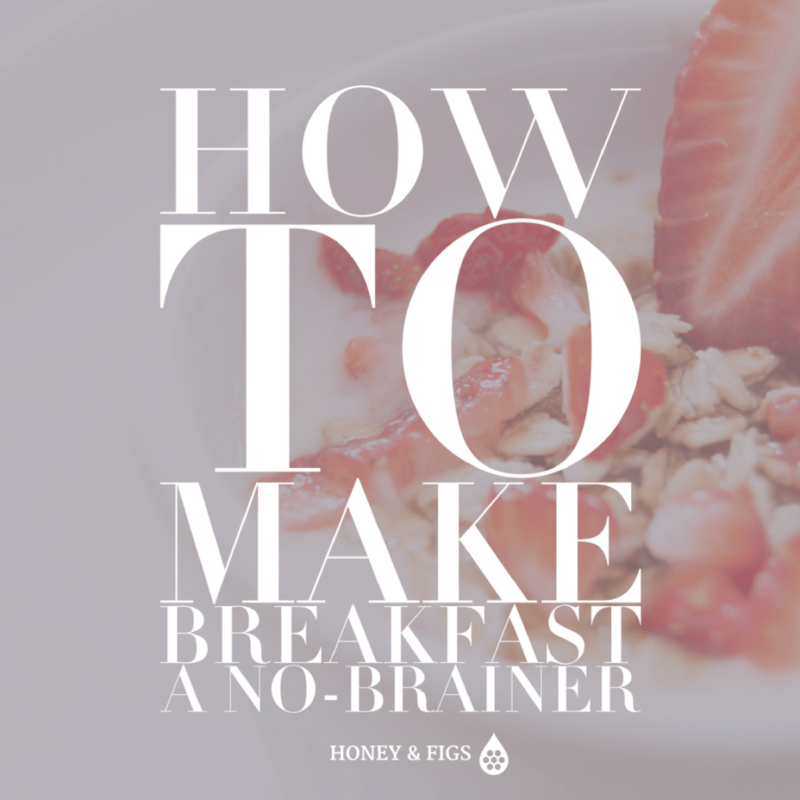 Share your stories of how you successfully make breakfast a priority or your favorite no-brainer breakfasts in the comments.